The collision of a 500km diameter body with the Earth results in a cataclysm almost unimaginable. 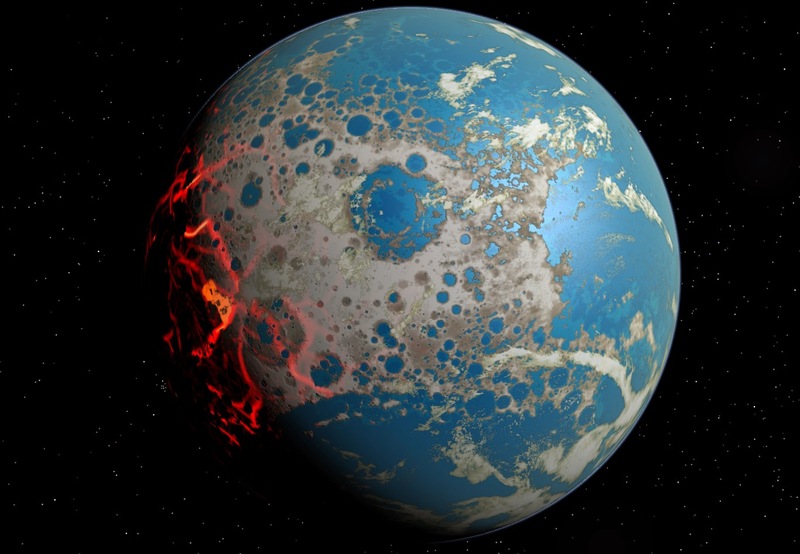 Huge regions of the Earth's rocky surface would have been vaporised, creating a cloud of super-heated 'rock-gas', or vapors several thousand degrees in temperature. It is this vapor, in the atmosphere, which causes the entire ocean to evaporate into steam, boiling away to leave a [layer] of molten salt on the seafloor. Cooling by radiation into space would take place, but a new ocean would not rain out for at least several thousand years after the event. Such large, Texas-sized asteroids or comets could evaporate a ten thousand foot deep ocean, sterilising the surface of the Earth in the process.